Oil from the Filanovsky and Korchagin fields developed by Lukoil has been going into the Tengiz – Novorossiysk oil pipeline since October 1, 2016. At the end of October 2016, the first tanker was loaded with oil from the two Russian fields at on the CPC Marine Terminal (Yuzhnaya Ozereevka, Krasnodar Krai). Based on Lukoil’s 2017 nominations, the consortium should transport about 5.4 million tons of oil extracted from these fields. CPC is completely ready to transport the nominated oil volumes, which was confirmed by CPC General Director Nikolay Gorban during a meeting with Lukoil President Vagit Alekperov at the St. Petersburg International Economic Forum on June 1, 2017. 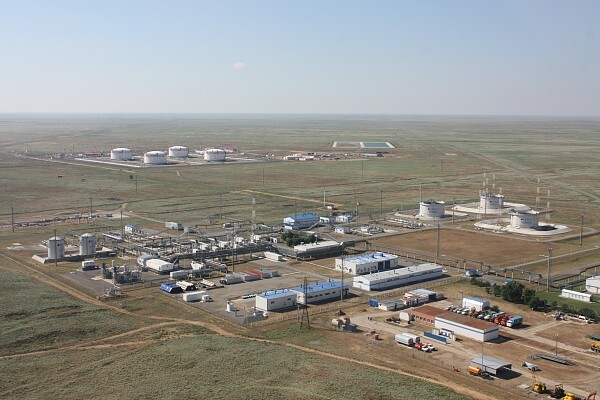 CPC pipeline system is one of the largest investment projects in the energy industry with participation of foreign capital on the CIS territory. The length of the pipeline connecting the oil fields in Western Kazakhstan with the Marine Terminal near Novorossiysk is 1,511 km. CPC Marine Terminal is equipped with single point moorings which allow for safe tanker lifting at a considerable distance from the shore, also when the weather conditions are unfavorable. CPC Shareholders: Russian Federation (represented by Transneft – 24% of and CPC Company – 7%) – 31%; Republic of Kazakhstan (represented by KazMunayGaz – 19% of and Kazakhstan Pipeline Ventures LLC – 1.75%) – 20.75%; Chevron Caspian Pipeline Consortium Company - 15%, LUKARCO B.V. – 12.5%, Mobil Caspian Pipeline Company – 7.5%, Rosneft-Shell Caspian Ventures Limited – 7.5%, BG Overseas Holding Limited - 2%, Eni International N.A. N.V. - 2% of and Oryx Caspian Pipeline LLC – 1.75%.